GREETINGS AND WELCOME TO ALEX BAY !! 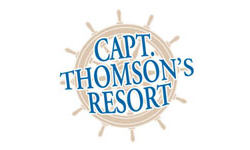 Capt.’s Inn & Suites is owned and operated by the Thomson family of Alexandria Bay. Other properties in Alex Bay under their ownership include Capt. 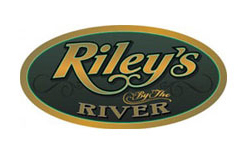 Thomson’s Resort, Uncle Sam Boat Tours, Riley’s by the River restaurant, and the Magical Swan gift shop. Initial improvements during the first two years were new furniture & mattresses in all applicable rooms and mini-fridges and flat screen TV’s in all rooms. In addition, cosmetic improvements of new roofs, painting, blacktop repair, entrance remodeling, extensive dock repairs and various other projects were completed. Updating bedding and other room furnishings has been ongoing. Over the next year, the majority of remaining non-renovated rooms will be finished along with further room updating and other capital projects. Capt.’s Inn & Suites offers very competitive room rates featuring amenties such as swimming pool, boat dockage and ramp, free Wi-Fi, mini-fridges and more. 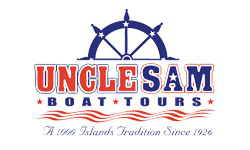 Our goal is to provide an affordable, comfortable, well-maintained facility for individuals, couples and families visiting the 1000 Islands. Check our packages available with room, boat tours, Boldt Castle and food included with savings. We hope to see you soon at Capt.’s Inn & Suites!